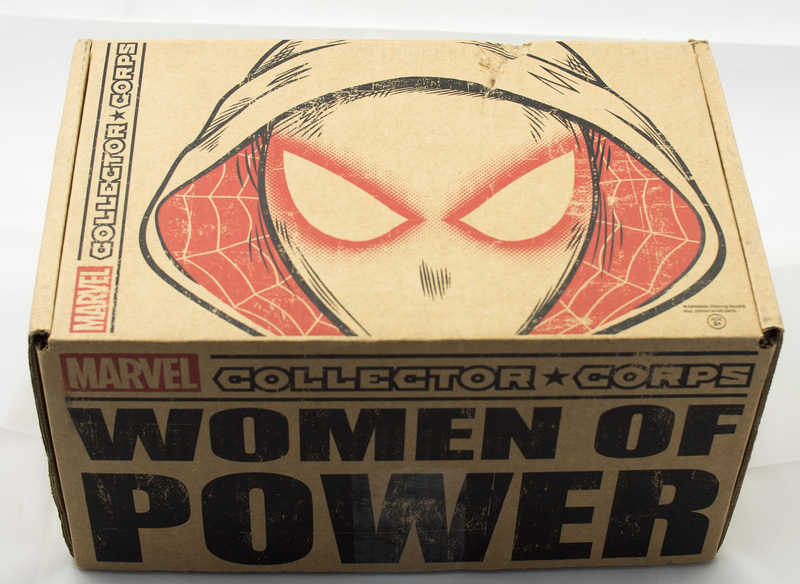 The Marvel Collector Corps June theme was “Women of Power”. 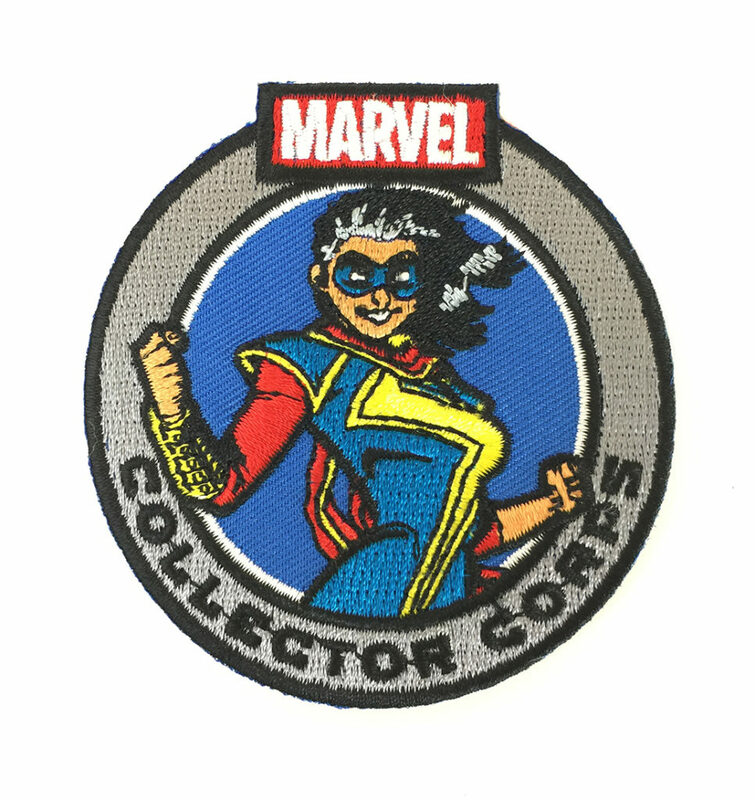 So what’s in the Collector Corps June 2016 box? 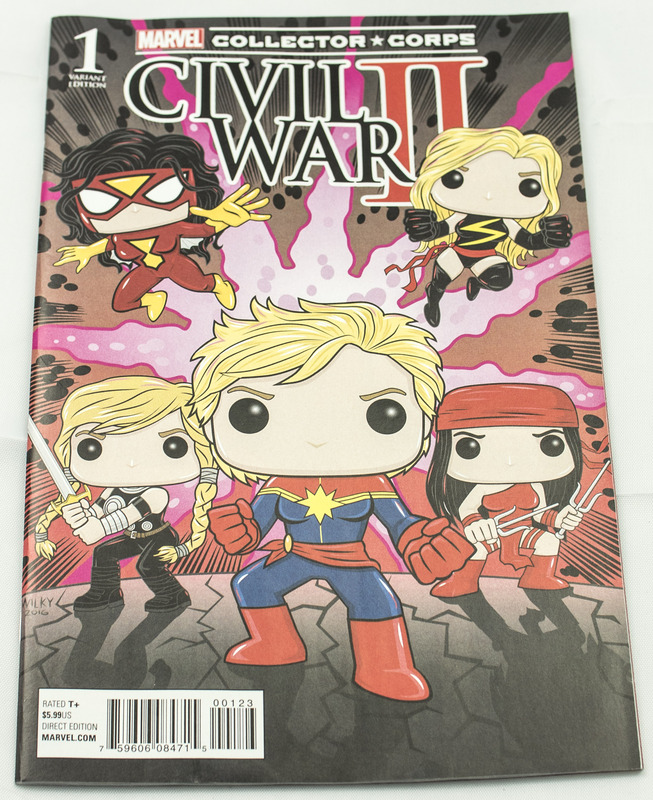 Well, it features a Squirrel Girl and Tippy Toe Pop figure duo, Captain Marvel and She-Hulk bobble head Pop minis, Spider-Woman pin, Kamala Khan (Ms. Marvel) patch, Civil War II #1 with exclusive cover, and Spider Gwen T-shirt. If you want to see close ups and fine detail in any of the pictures just click on it to enlarge the image. This is the first time that I have received a damaged box from Collector Corps or Smuggler’s Bounty, but there were several reports of superficial damage on the box. On the bright side none of the contents inside were harmed. 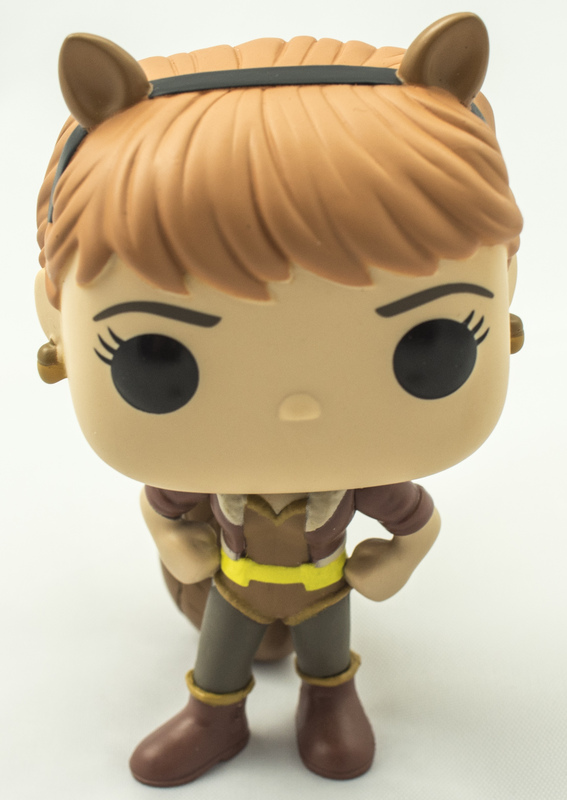 Close up of the Squirrel Girl Funko Pop figure. If you want to read about her you can check out her wiki page. 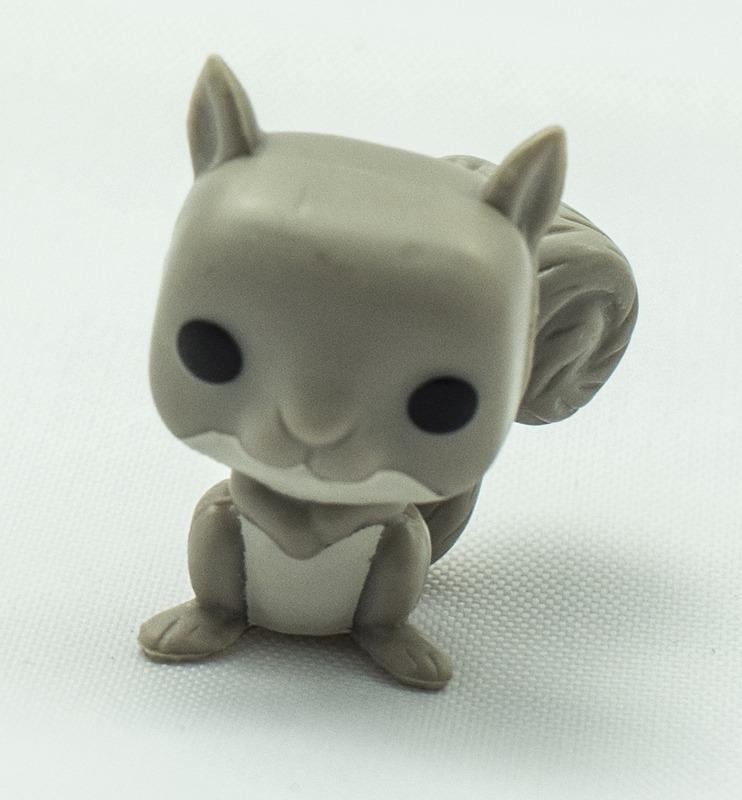 Tippy Toe, Squirrel Girl’s partner Tippy Toe also makes an appearance in this box. Be a little careful when taking Tippy out of the plastic, as the tail is fragile and almost broke off. If you want to read more about Tippy Toe check out her wiki page. 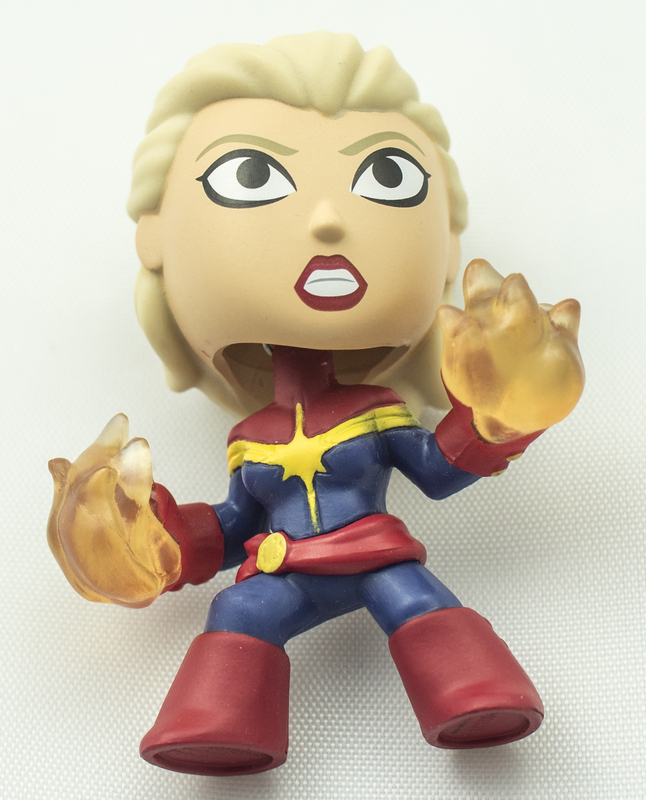 Captain Marvel Pop-Mini bobble head. I for one am excited for her solo movie since I’m loving her character in the Civil War II comic series right now. If you want to read more about Captain Marvel check out her wiki page. 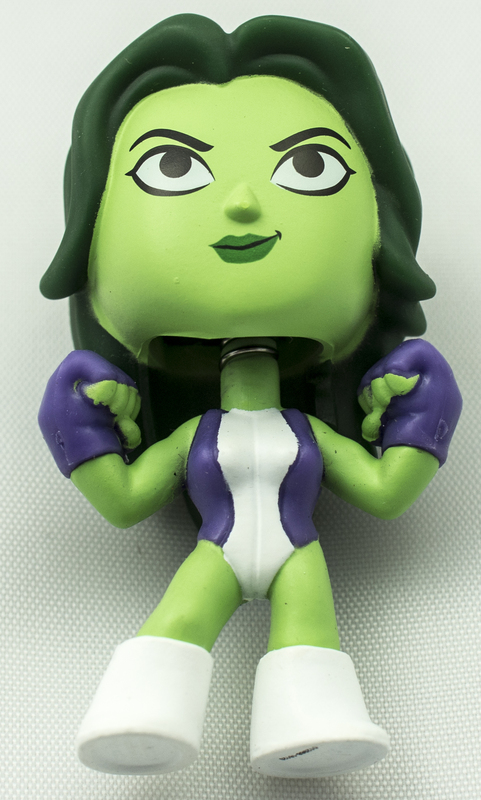 Also making an appearance in this box is She-Hulk. If you’ve been keeping up with Civil War II then you’ll remember her from the #0 issue. You can read more about her and her powers on her wiki page. 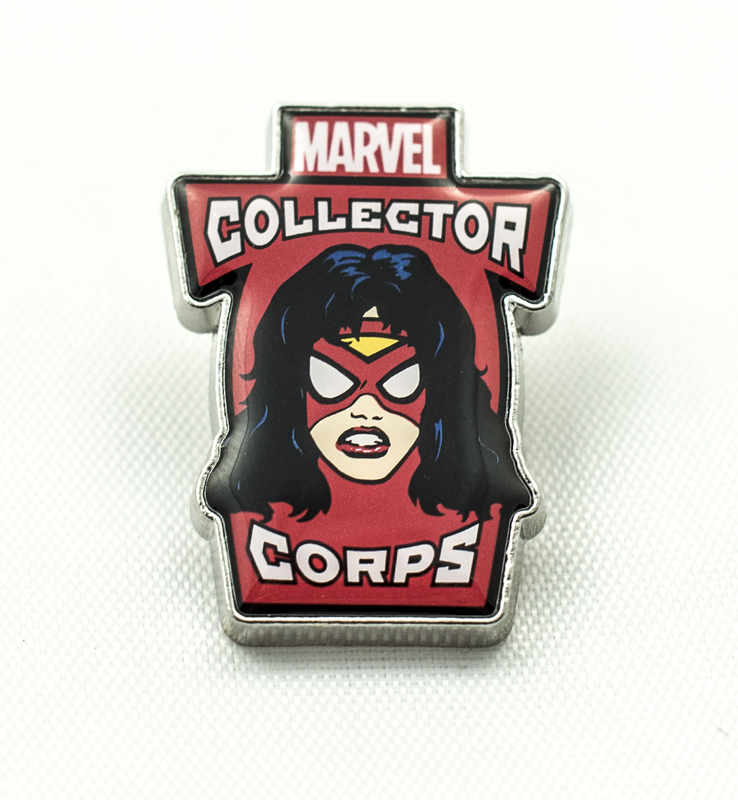 This Spider-Woman features Jessica Drew’s signature costume. If you want to read more about her, head over to her wiki page. Kamala Khan is featured on the patch for this month showcasing her new costume. If you want to learn more about her head over to her wiki page. I am a big fan of the current Civil War II story line that is present in many of the currently running Marvel comics series. 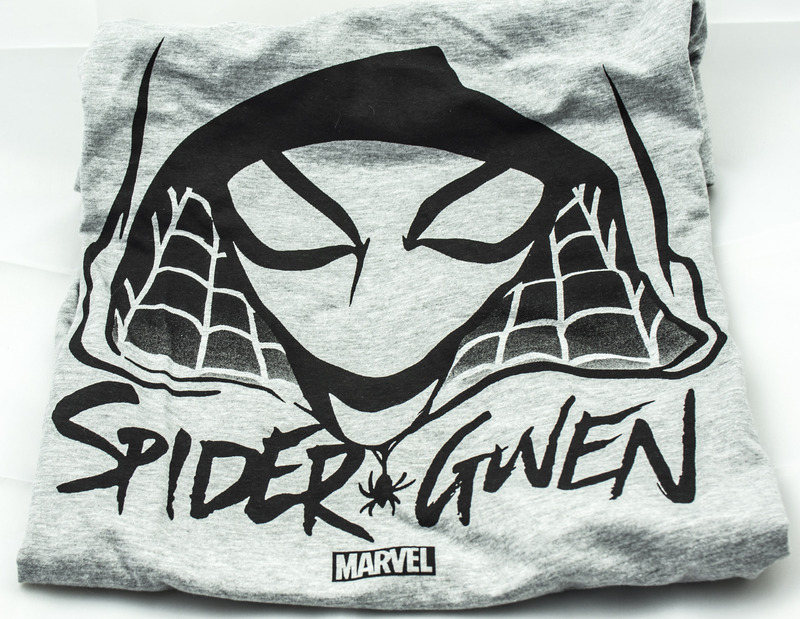 Let’s not forget about Gwen Stacy, also known as Spider-Gwen, who is the T-shirt this month. You can read more about her and Earth 65 on her wiki page. If you have any questions about the Smuggler’s Bounty March 2016 box tweet at me @Peter_VanLoo or @BRollBanter. If you want to follow me on social media you can check out my Twitter, Instagram, Facebook, Google Plus, YouTube or my filmmaking website and its YouTube channel.